The B3WB-365 black light flashlight is light weight and portable, making it easy and convenient for all your black light needs. The flashlight is small enough to fit in your hand and can fit into most pockets and purses. The battery life is up to 10 hours and can shine at a distance up to 8 feet! The lanyard chord is handy for club security and officers when checking IDs. This unit is 10,000 times stronger at 10" then the B9LED-365. Incredible strength in such a small UV light. "We used the B9LED-365 is OK in darkened conditions but needed something stronger to use in regular light. We tested the B3WB-365 and that is exactly what we needed." • Super Singe UV LED's (365nm-370nm). • 3 AAA-cell Black Metal host. • Click on/off rubber tail cap switch. 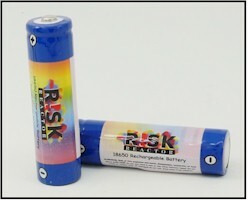 In the kind of world that we live today preventing counterfeit can be difficult but with a UV black light you can verify the item in an instant. You can identify the authentication of important documents and items such as currency, bank drafts, bankbooks, passports and certificates. There are handheld black light lamps, torch lamps and UV counterfeit detectors. In order to determine the best fit for you it is important to take into account the UV light irradiation and intensity, ambient light levels and process integration. B3WB-365 nm Battery Operated Flashlight Black Light perfect for our ID cards, Security Notes, readmission applications, automotive leak testing, inspection of inks, dyes, and paints. Aluminum Casing “AAA”Click Here to Get Yours Today!